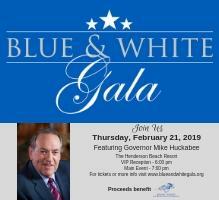 Subject: Your Weekly Update from the Niceville Valparaiso Chamber! Mark your calendar for the February Second Wednesday Breakfast! You won't want to miss this popular monthly membership event with 200 of your Chamber friends and our sponsor, The Manor at Blue Water Bay! New members must sign in with the Ambassadors to give their 30-second commercials and introduce themselves. Door prizes are welcome at this event and need to be registered with the Ambassadors at check in. Do you have a friend or neighbor who would make a great Chamber member? Potential members are encouraged to attend a Breakfast to learn more about the Chamber. Guests are asked to sign in to be recognized during the program and will receive a complimentary admission. Breakfast is $5 cash only at the door. Click here to prepay by credit card or click here to purchase your 2019 Punch Card for only $50. 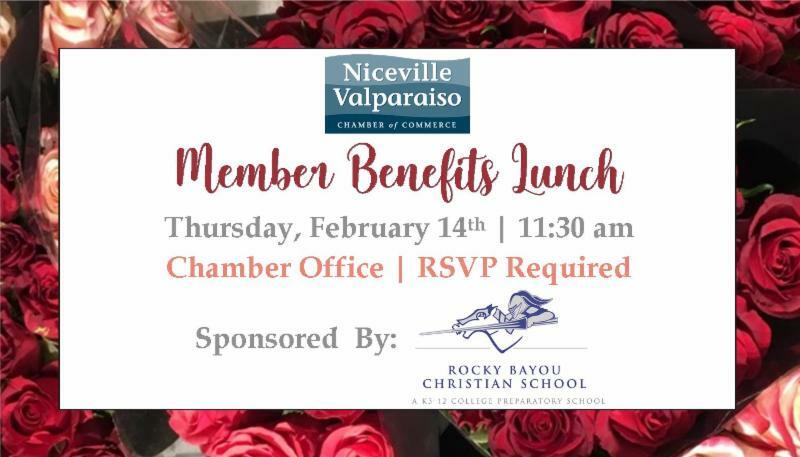 New members and representatives are encouraged to attend the quarterly Member Benefits Lunch sponsored by Rocky Bayou Christian School and learn about the programs, services and opportunities available to you through your membership! Registration is required. 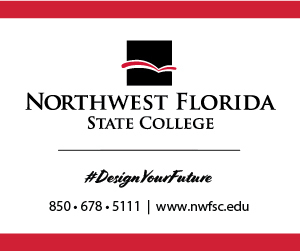 Click here to register online or call 850.678.2323 before February 7th. Destin-Fort Walton Beach Airport with a total of 1,413,843 passengers, which represents 21% growth over 2017! Please view the future plan of VPS to watch how we will grow! The sidewalk on the southbound Toms Bayou Bridge on State Road (S.R.) 397 (John Sims Parkway) will be closed beginning the week of Monday, Feb. 4. Pedestrians will be detoured to the northbound bridge while work continues to widen the southbound structure. High visibility crosswalks and pedestrian traffic signals will be installed on the south side of the bridge at South Bayshore Drive and on the north side at Glen Avenue. Left turns will not be permitted at South Bayshore Drive and East and West Glen Avenues. 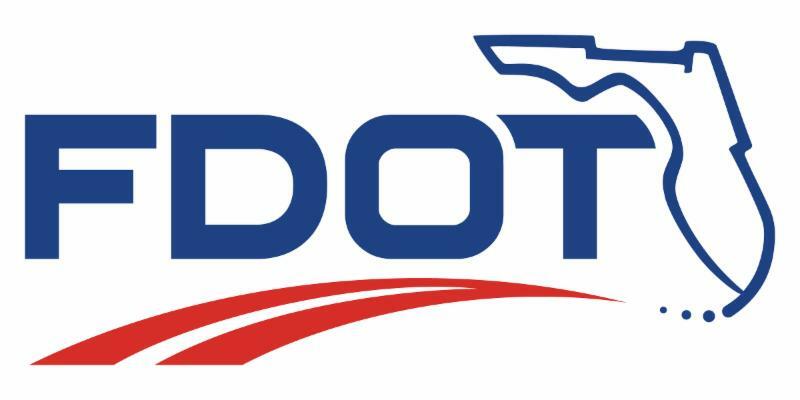 For more information follow Facebook.com/MyTomsBayouBridge or visit the Florida Department of Transportation website fdot.gov.